Before we spend countless hours researching a company, we’d like to analyze what insiders, hedge funds and billionaire investors think of the stock first. We would like to do so because our research has shown that the elite investors’ consensus returns have been exceptional. In the following paragraphs, we find out what the billionaire investors and hedge funds think of AmerisourceBergen Corporation (NYSE:ABC). AmerisourceBergen Corporation (NYSE:ABC) was in 34 hedge funds’ portfolios at the end of the fourth quarter of 2018. ABC investors should pay attention to an increase in support from the world’s most elite money managers lately. There were 32 hedge funds in our database with ABC holdings at the end of the previous quarter. 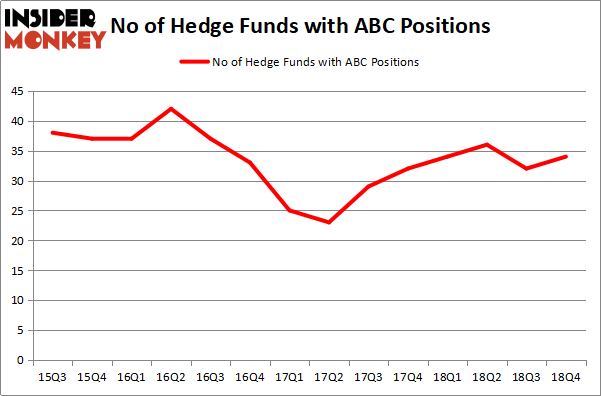 Our calculations also showed that ABC isn’t among the 30 most popular stocks among hedge funds. 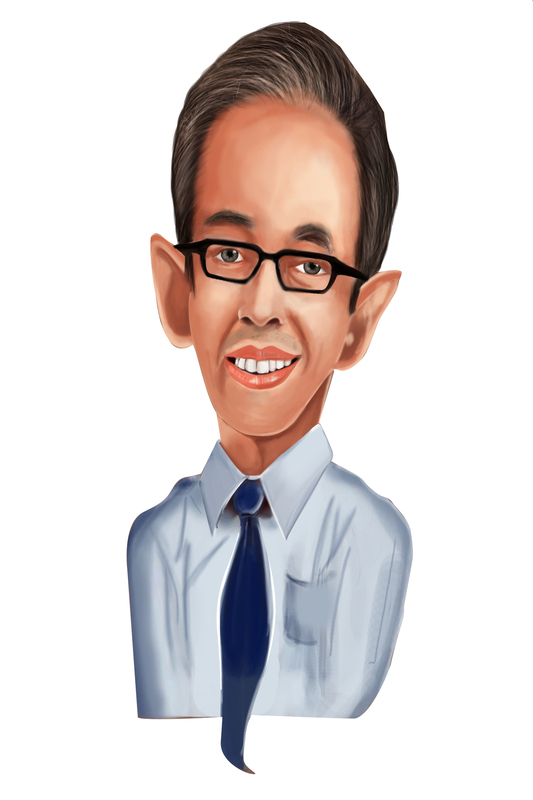 Let’s take a glance at the key hedge fund action surrounding AmerisourceBergen Corporation (NYSE:ABC). At Q4’s end, a total of 34 of the hedge funds tracked by Insider Monkey were long this stock, a change of 6% from the second quarter of 2018. Below, you can check out the change in hedge fund sentiment towards ABC over the last 14 quarters. With hedgies’ positions undergoing their usual ebb and flow, there exists an “upper tier” of key hedge fund managers who were increasing their stakes significantly (or already accumulated large positions). More specifically, Baupost Group was the largest shareholder of AmerisourceBergen Corporation (NYSE:ABC), with a stake worth $149.9 million reported as of the end of September. Trailing Baupost Group was Millennium Management, which amassed a stake valued at $48.5 million. HBK Investments, Arrowstreet Capital, and Bridgewater Associates were also very fond of the stock, giving the stock large weights in their portfolios. Now, some big names have jumped into AmerisourceBergen Corporation (NYSE:ABC) headfirst. Bridgewater Associates, managed by Ray Dalio, established the largest position in AmerisourceBergen Corporation (NYSE:ABC). Bridgewater Associates had $17.1 million invested in the company at the end of the quarter. Clint Carlson’s Carlson Capital also initiated a $10.7 million position during the quarter. The other funds with new positions in the stock are Michael Castor’s Sio Capital, Peter Muller’s PDT Partners, and Vishal Saluja and Pham Quang’s Endurant Capital Management. Let’s check out hedge fund activity in other stocks – not necessarily in the same industry as AmerisourceBergen Corporation (NYSE:ABC) but similarly valued. We will take a look at AMETEK, Inc. (NYSE:AME), Ball Corporation (NYSE:BLL), Liberty Global Plc (NASDAQ:LBTYK), and Splunk Inc (NASDAQ:SPLK). This group of stocks’ market values match ABC’s market value. As you can see these stocks had an average of 30.5 hedge funds with bullish positions and the average amount invested in these stocks was $1234 million. That figure was $381 million in ABC’s case. Ball Corporation (NYSE:BLL) is the most popular stock in this table. On the other hand Splunk Inc (NASDAQ:SPLK) is the least popular one with only 25 bullish hedge fund positions. Compared to these stocks AmerisourceBergen Corporation (NYSE:ABC) is more popular among hedge funds. Our calculations showed that top 15 most popular stocks among hedge funds returned 19.7% through March 15th and outperformed the S&P 500 ETF (SPY) by 6.6 percentage points. Unfortunately ABC wasn’t in this group. Hedge funds that bet on ABC were disappointed as the stock returned 8.3% and underperformed the market. If you are interested in investing in large cap stocks, you should check out the top 15 hedge fund stocks as 13 of these outperformed the market.